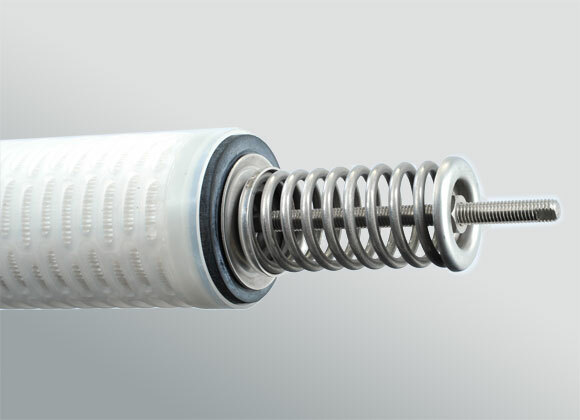 We are pleased to offer our faithful customers a new range of filter elements suited to the most recent condensate filtering requirements in both conventional and nuclear power plants. 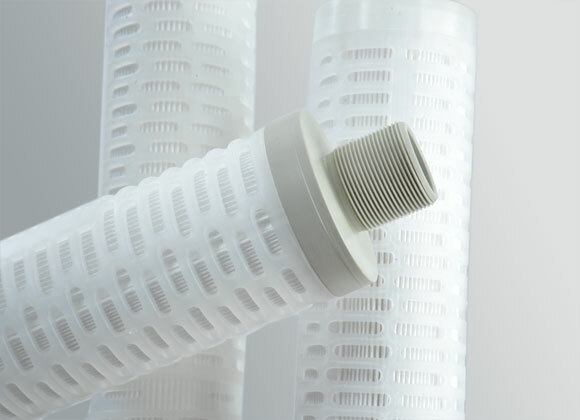 This new range of filter elements represents the technological synthesis of thirty years’ constant research on our part into every aspect of condensate filtration. The new frontiers opened up by the introduction - in many power plants - of oxidizing chemistry has raised the question of how to enable existing condensate treatment filters to trap the more penetrating iron oxides produced by modified chemical/physical conditions. Consequently, we decided to create a new range of filter elements aimed to satisfy these sophisticated operating conditions. 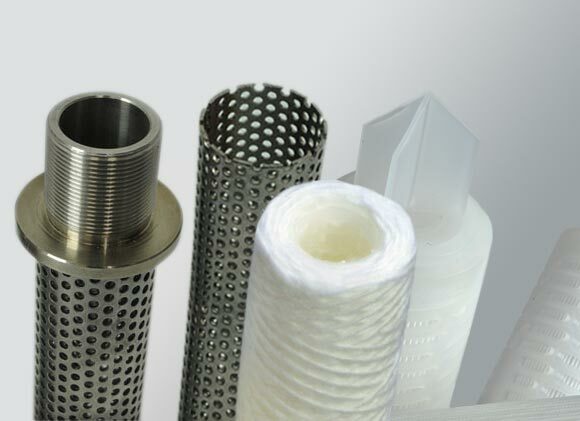 The filter element consists of a strong plastic or Stainless steel core onto which a purified polypropylene thread is wound in a pattern designed to induce optimum coating with medium-to-fine floc size powdered resins or inert materials ( alpha cellulose, PAN, Pes ). The type of thread used combine to limit oxide accumulation between the threads, thus increasing the filter element’s life. Supports for filter element installation within main filters can be supplied on request. These supports consist of strong stainless steel support complete with a spring-loaded compensating system and bayonet-type hook-in mechanism at the bottom, and have a head seal. They can be adapted for use in all plant types. 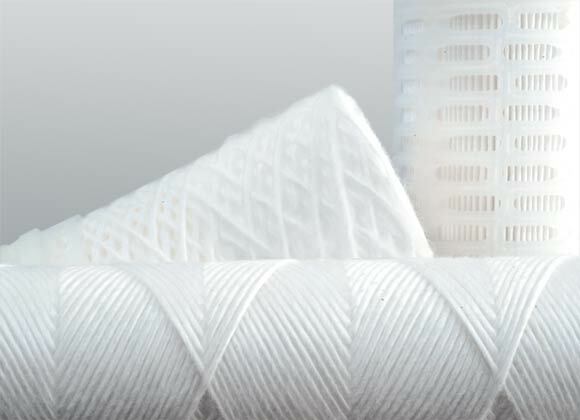 The filter element consists of a strong plastic or Stainless steel core onto which a purified antioxidant added polypropylene thread is wound in a pattern designed to induce optimum coating with medium-to-fine floc size powdered resins or inert materials ( alpha cellulose, PAN, PES ). The type of thread used and its thickness combine to limit oxide accumulation between the threads, thus increasing the filter element’s life under high flow rate. 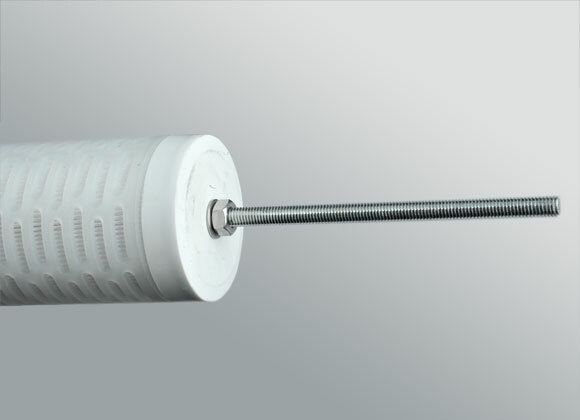 Supports for filter element installation within main filters can be supplied on request. These supports consist of strong stainless steel support complete with a loaded compensating system and bayonet-type hook-in mechanism at the bottom, and have a head seal. They can be adapted for use in all plant types. The filter element described above is suited for use in systems which require use of powdered resins and/or inert filter products as coating materials, in other words all condensate treatment circuits with prefilter units. 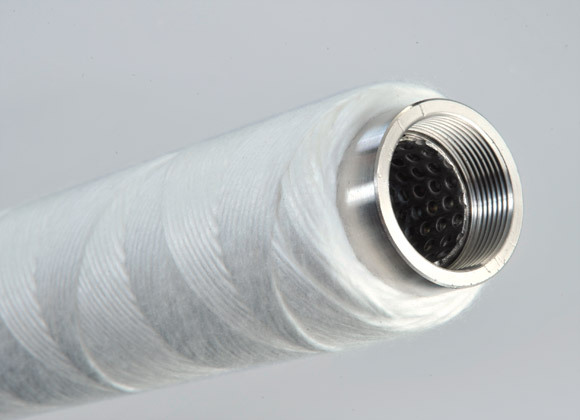 These filter elements consist of a strong polypropylene or stainless steel core onto which a polypropylene membrane is pleated. 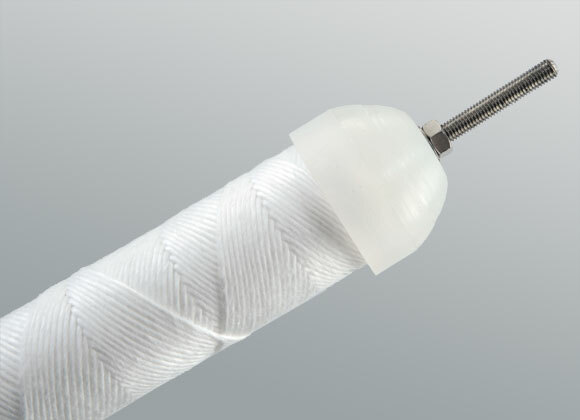 The pleated membrane is contained within a polypropylene support membrane. An external polypropylene cage properly sized contributes to the element’s strength. 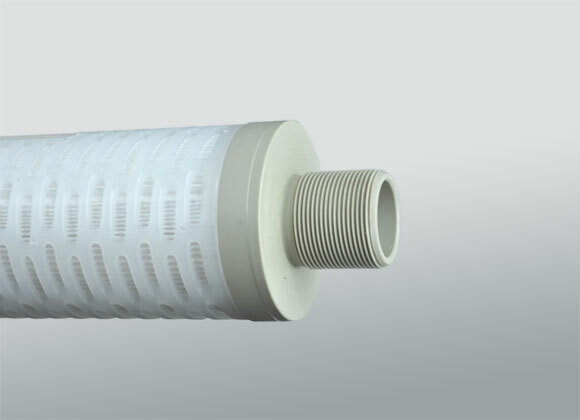 The filter element is designed to achieve two aims: maximum-efficiency external element coating along with capture of any iron oxide particle leakage which slipped past the material’s filtering action. This combined result gives extremely positive running advantages. The filter element described above is suited for use in systems which require use of powdered resins and/or inert filter products as coating materials, hence all condensate treatment circuits with prefilter units. This filter element consists of a strong polypropylene or stainless steel core onto which a polypropylene membrane is pleated. The pleated membrane is contained within a polypropylene outer support membrane. This type of filter element cannot be coated with filter materials. Supports for filter element installation within main filters can be supplied on request. These supports consist of strong stainless steel support complete with a spring-loaded compensating system and bayonet-type hook-in mechanism at the bottom, and have a head seal. They can be adapted for use in all plant types. bottom, and have a head seal.